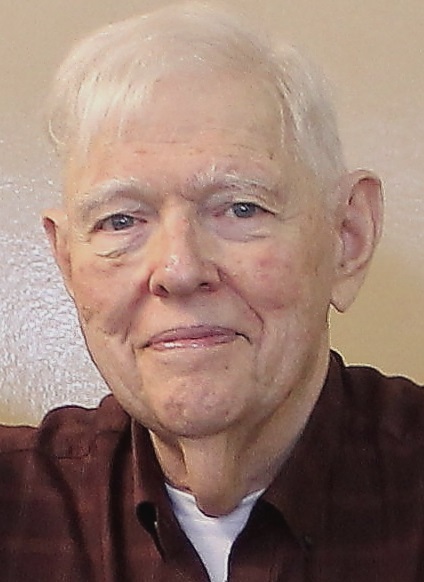 Jerry A. Delaney, 80, of 204 Jackson Ave, Bradford, has gone home to his Lord, Thursday, October 18, 2018, at The Pavilion at BRMC, after a brave battle with heart, kidney and liver issues. Born March 8, 1938 in Allegany, NY, he was a son of the late James and Marjorie (Hullihen) Delaney. On December 24, 1983, in Rew, he married his loving wife Linda K. (Sion) Delaney, who survives. Jerry worked, at Corning Glass, and later as a draftsman for Quaker State Oil, in Farmers Valley, for 22 years. He was a part-time police officer for Foster Township police department, and later worked as a Police Communications Operator for Pennsylvania State Police barracks in Mt. Jewett and Kane. Jerry was a member of the Church of Christ, and a devout Christian. He led several people to Christ. through bible classes, and was always willing to talk about his relationships with Jesus Christ. He was a gentle soul, loving human being, and a strong example of the Christian faith. Surviving in addition to his wife, Linda, of 34 years, is one son, Robert (Sylvia) Delaney, of Cohoes, NY, one sister, Rev. Marjorie (Rev Ronald) Lindahl, of Bradford, one niece and one nephew, and several grand nieces and nephews. Family will be receiving friends on Saturday, October 27, 2018 from 10:00 to 11:00 in the Church of Christ where a Celebration of Life will be held at 11:00am with Rick Price, officiating. Burial will be in Willow Dale Cemetery. Arrangements are under the directions of the Hollenbeck-Cahill Funeral Homes, Inc.
RIP I will always remember you as my Sunday School teacher when I was in Seventh grade . I memorised Plsams 23 and you gave me my first small Bible New testament king James version. You were very patient and kind. I loved my Sunday school class and my teacher.